Save money and time with exclusive discounts and pricing. From day-to-day supplies to school-wide solutions, NBOA’s purchasing resources are available to member schools. A national purchasing consortium that offers substantial discounts on products and services from hundreds of national vendors, including FedEx, Staples, and Sprint. Access targeted, discounted goods and services from a group of companies that are uniquely committed to the independent school community. NBOA Business Partners are for-profit companies who are dues-paying members of NBOA and who provide services and solutions to the independent school business office. The Business Partner Directory profiles these companies and allows member schools to search for industry-specific solutions. 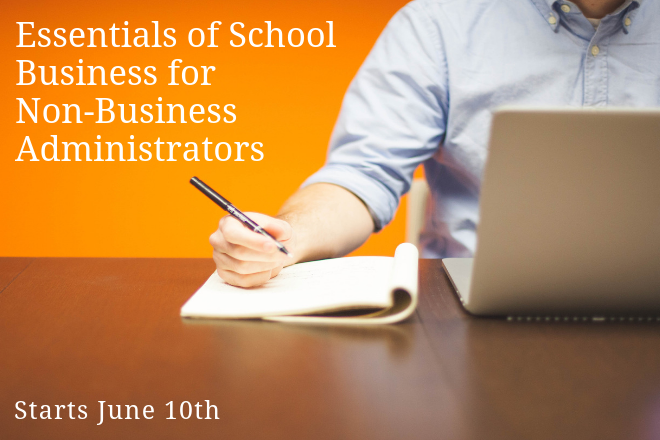 Learn to be a good steward of your school's financial resources, regardless of your proximity to the balance sheet, this summer in NBOA's Essentials of School Business for Non-Business Administrators: Budget Meets Mission online course. Specifically designed for school leaders outside of the business office or with limited experience in financial and business functions, the course will teach participants to be strategic in light of financial pressure, and to work more collaboratively with their leadership team around financial issues.